Keep Yourself Safe & Active - Plum Enterprises, Inc.
It’s your moment-to-moment journey into the future that you alone create with your choices each day. Make the choice today to stay safe, healthy and active. Falls are the most common cause of traumatic brain injury (TBI), with TBI accounting for 46 percent of fatal falls among older adults. -American Association of Neurological Surgeons. Hip fractures cause the greatest number of deaths and lead to the most severe health problems and poorest quality of life. -The Journal of the American Geriatrics Society. Every 18 seconds an older adult is treated in the emergency department for a fall, and every 35 minutes someone in this population dies as a result of the injuries. Plum’s® ProtectaCap® and ProtectaCap+Plus® advanced custom-fitting helmets are engineered for proven safety effectiveness and designed for exquisite simplicity and amazing lightweight comfort. 1. One-of-a-kind lightweight, comfortable custom fit. 2. Full head coverage that opens & expands around ears. 3. Completely encased in breathable cotton blend; comfortable enough for sleeping. 1. Dual-protective core for optimal staged deceleration of impact energy. 2. 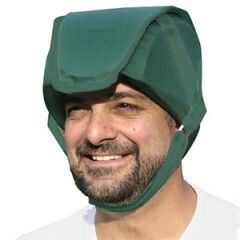 Reinforced forehead & temple protection. 3. Best force reduction rating by Veterans Patient Safety Center. Plum’s® ProtectaHip® Undergarments are double-lined with 2 layers of the highest quality of cotton interlock or cotton interlock and attractive stretch lace. Incontinence-friendly ProtectaHip® Front Snap™ has convenient front snaps and gentle elastic at the leg to prevent leaking. Plum’s® ProtectaHip® Pads, that expand in size with the size of ProtectaHip® Garments, are secured within hidden panels, with perfect placement over the greater trochanter to protect against the 3 sites of hip fractures: intertrochanteric, transcervical and Subtrochanteric, for optimal coverage and protection. Plum’s® ProtectaHip® Active Lounge Pants™ and ProtectaHip® Active Lounge Shorts™ are engineered with Plum’s superior ProtectaHip® Pads and designed in comfortable wrinkle-free micro-polyester that wicks away moisture and is ideal for all climates. ProtectaHip® Pads, secured within hidden panels for proper placement over the greater trochanter are tucked behind stylish slash pockets. Elasticized waist and self-fabric drawstring allow for easy on and off. ProtectaHip® Active Lounge Pants™ has gentle elastic at the cuff to adjust to all heights and prevent tripping that can lead to falls. 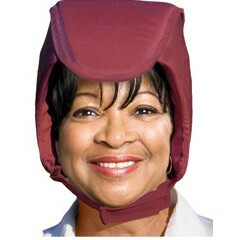 Per your request, here is the website for that wonderful protective head-gear [ProtectaCap+Plus®] I bought for Diana. Unfortunately, we had opportunity to prove how good it is; yesterday (Friday) Diana fell backwards onto the street; JUST out of my grasp! She hit the pavement very hard….. we went straight to ER because I was concerned about hematoma etc….. We’re blessed that it does not appear that any lasting effects were evident, and I can say with confidence that this helmet saved Diana’s life.